A national panel of experts has selected Pensacola State College’s virtual tutoring program as one of 10 finalists for the 2017 Bellwether Award in the Instructional Programs and Services category. An initial pool of about 2,500 applications was narrowed to about 200 applications for each of three categories when choosing the finalists. Besides the Instructional Programs and Services category, the panel named 10 finalists in the category of Planning, Governance and Finance, and 10 finalists in Workforce Development. After a final round of presentations, a winner for each category will be announced Jan. 31. 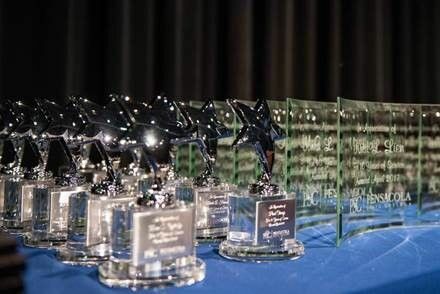 Sponsored by the University of Florida’s College of Education, the coveted Bellwether Awards annually recognize outstanding programs and practices that are leading community colleges into the future. Staffed by well-trained tutors, Pensacola State’s virtual tutoring program is a live website, allowing students to see and talk to tutors late into the evening and on weekends. “The virtual tutoring program provides high quality academic support to PSC students at times most convenient to them and from any location they choose,” revealed Kirk Bradley, dean of baccalaureate studies and academic support. Although the program is popular with students because of its convenience, virtual tutoring’s greatest advantage is that students’ grades are higher and withdrawal rates are lower. For instance, PSC analysis has shown that students using virtual tutoring successfully completed math courses at a rate ranging from 6 to 18 percentage points higher than students who did not use virtual tutoring. The withdrawal rate for students using virtual tutoring was significantly lower, particularly in higher level math courses, by as much as 10 percentage points.